When my friend Jane offered me her apartment to use while she was visiting relatives in New York City for New Years, I decided to take her up on that offer. Beverly Hills is one of my favorite places in the world, so why not celebrate New Years Eve and Day there? 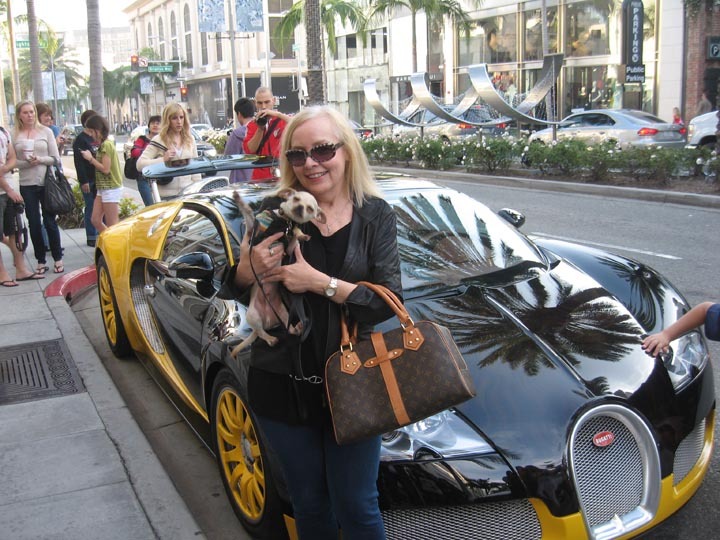 As my Chihuahua puppy Cupcake and I strolled down Rodeo Drive, we joined the small crowd of people ogling the late Bijan’s $1.7 million Bugatti parked outside his eponymous men’s clothing store on Rodeo Drive in Beverly Hills on the last day of 2011. I have since learned that Bijon, a man of great style and remembered with a perpetual smile in all his photos, died this past year at the young age of 67 of a stroke. But his store and car are still around and attracting fans. Cupcake and I then headed to one of my favorite restaurants Villa Blanca, which is owned by Lisa Vanderpump of the reality TV show “Real Housewives of Beverly Hills”, and her husband Ken Vanderpump. And who should come right by my table where I was sitting with Cupcake, but Ken Vanderpump himself! I greeted him and asked him how was Giggy, his and Lisa’s now famous adorable Pomeranian dog. He good-naturedly said that’s what so-and-so (someone just a couple tables down from me) just asked him, and he added that Giggy was fine, and I introduced him to Cupcake, whom he petted briefly. I told him I’m looking forward to the next episode of the show. I had actually bumped into him a few weeks ago while checking out their other restaurant Sur on Robertson Boulevard, and asked him about Giggy then too. I’m sure he gets asked about their beloved Giggy all the time! After he moved on to attend to his duties of the day, all of a sudden I heard some people across the street singing “Happy Birthday” to someone at Villa Blanca. Lo and behold, there is Lisa Vanderpump dressed in a demure gray and white outfit holding none other than Giggy himself, leading the song! I should have taken a photo at that moment but I was too mesmerized. It was a surreal moment to witness this and especially after talking to Ken Vanderpump. Forget about Reality TV, this was Reality! Of course, afterwards, I was thinking it would be fun to introduce Cupcake to Giggy, but I then I thought it would be better not to. I’m sure Lisa was very busy attending to her guests there. I have been there for dinner a few times with friends, and it is a magical place. You feel as if you could be on the French Riviera or Cabo San Lucas (I’ve been to both), or Ibiza or St. Barths (haven’t been to those two places yet). All airy whites, silvers, crystal, enormous bouquets of white flowers, simple yet luxuriant country style. Wonderful ambiance. 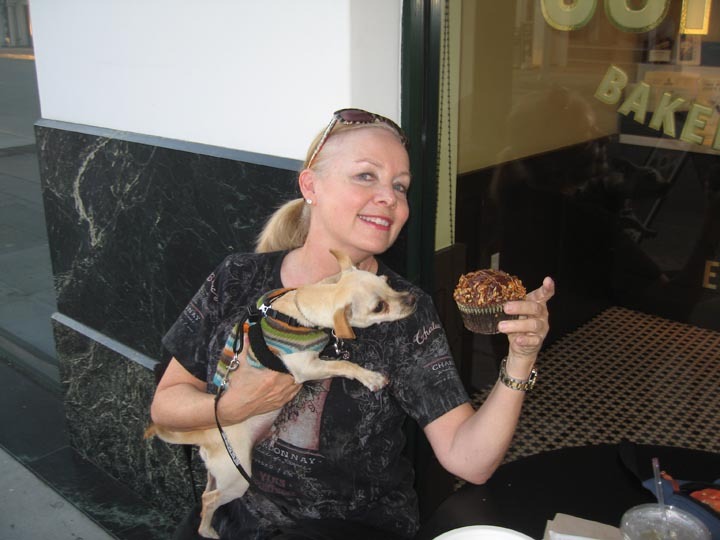 After lunch, Cupcake and I walked around Rodeo Drive and surrounding streets, people-watching and window-shopping, perhaps the best in the world. When New Year’s Eve finally arrived, I dressed up in my favorite dress, from Nanette Lepore, and my favorite evening shoes, Louboutin look-alikes by Guess, and my new necklace, a Christmas gift from a good friend, and drove down Sunset Boulevard just for fun. Drove by all the hotspots, the House of Blues, The Roxy, The Key Room, The Comedy Store, the Chateau Marmont. There were people out but not huge crowds. Many people, even in Los Angeles, spend New Year’s Eve at private parties, apparently, or just play it safe and stay at home. 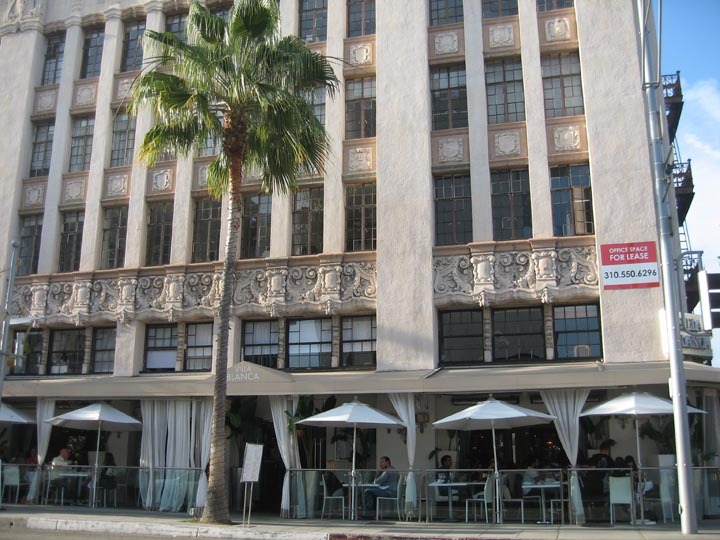 I went back to the apartment to park my car, and walked practically across the street and thru a passageway to one of my favorite hotspots in Beverly Hills, Cafe Roma. There I met new friends and had a ball. It was a great way to spend New Year’s Eve. The crowd there was eclectic and having fun. There was a DJ and people were dancing. Including me! Everyone got into the act! It was a wonderful ambiance, and although the music was loud, one could still carry on conversations. The spirit was upbeat, and balloons floated around. 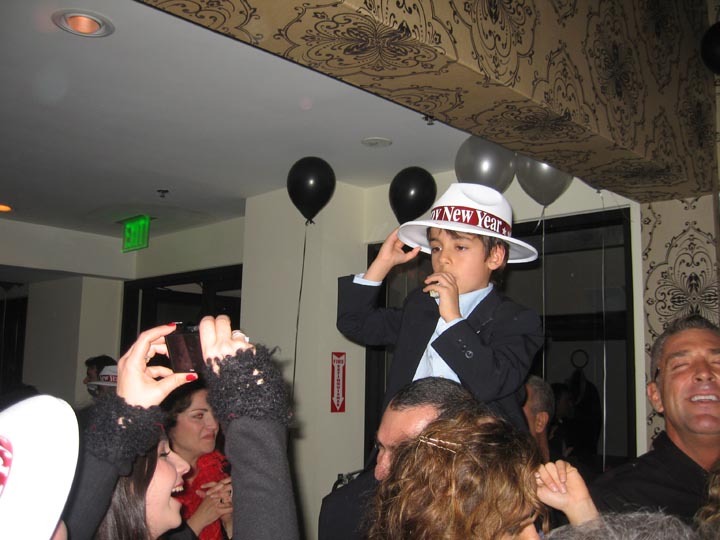 In general, I had a total blast, and it was a New Year’s Eve I will always remember! 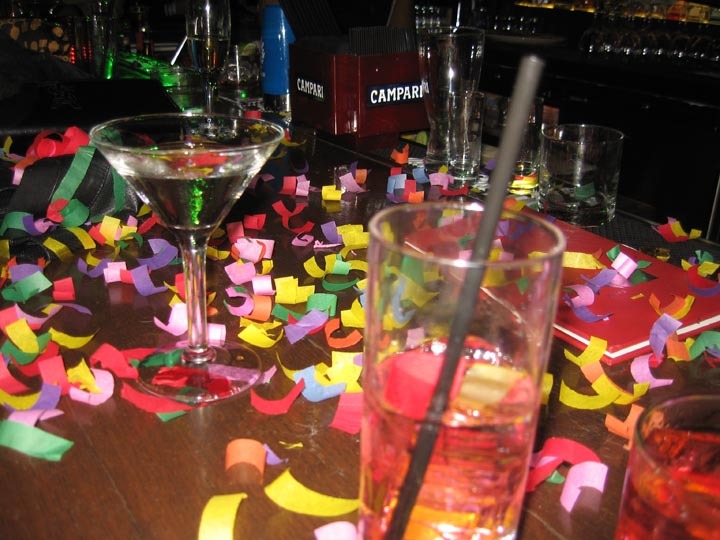 After the countdown to the New Year 2012, confetti was released from the ceiling and it fluttered down on us and into our drinks. I didn’t indulge too much in drinking martinis thankfully, so the next morning, Cupcake and I headed out to have breakfast at one of my favorite spots for breakfast in Beverly Hills, Le Pain Quotidien, which is very dog-friendly with its outdoor tables. It’s got a great French country chic ambiance as well. You never know who you’ll see there. Once I saw actor Michael York buying some bread there. It’s a very pleasant place to read the morning papers (borrowed from someone else there usually), drink some fresh squeezed orange juice, nibble on the fresh baked bread and sample one of the delicious omelets. 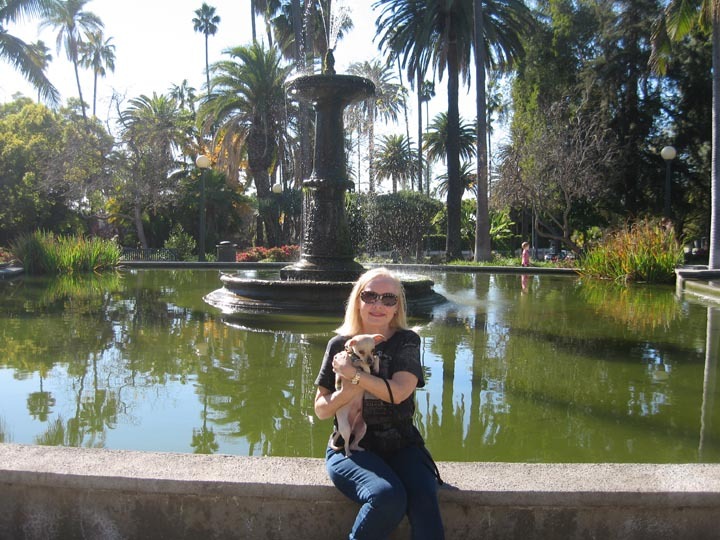 After re-fueling, Cupcake and I embarked on a long hike throughout the tree-lined streets of the residential section of Beverly Hills, starting with the parks. The residential streets are lined with mostly palatial homes that are simply gorgeous. I’d love to list one or more of them, after all, I’m a realtor with Power Brokers International, and we have an office in Beverly Hills, as well as in Palm Desert. Let’s face it, I’d love to own one of these fabulous mansions! 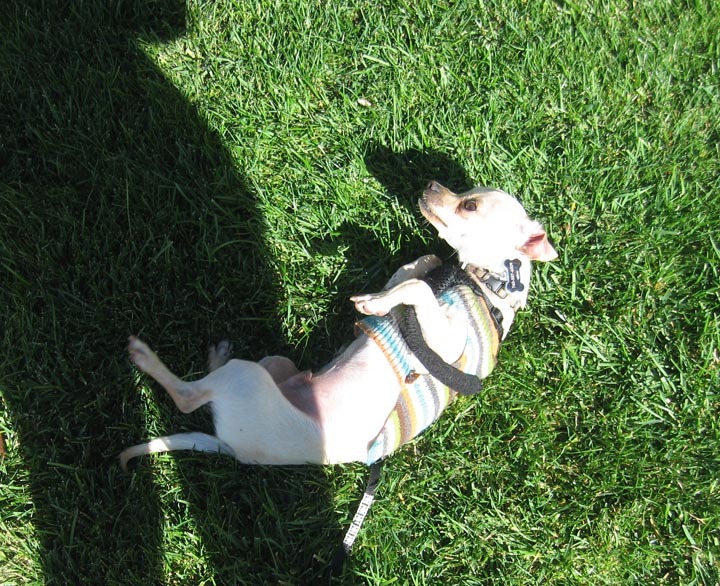 Cupcake would love rolling around in the grass. Bushy-tailed squirrels dashed about doing their business in the grass and in the luxurient leafy trees. This house looks comfy, eh? There were some teardowns, here and there, but I expect they won’t last long. 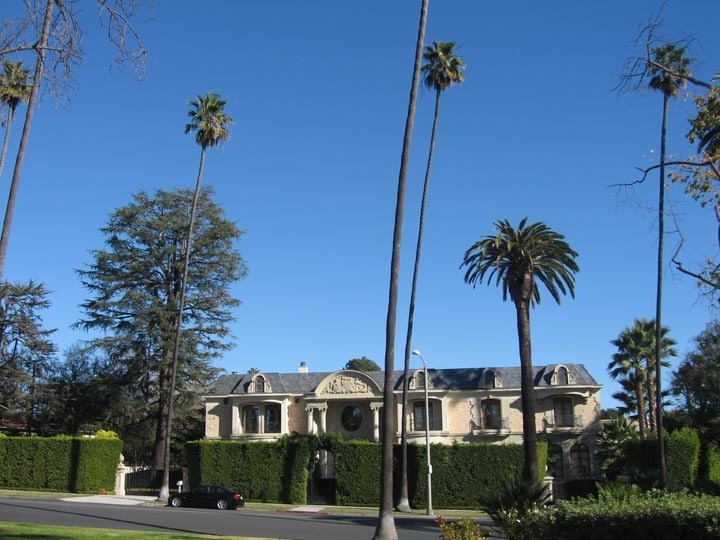 Most of the homes along the residential boulevards were beautifully kept mansions. Some were reminiscent of homes in New England or in the Hamptons, while others were more Italian or French-inspired. Many of the homes have gated driveways, and some with security cameras, and high walls of brick and mortar or of manicured bushes, but others are surprisingly “open”, as in no wall, no gates, just out in the open in plain view. There are many beautiful parks around Beverly Hills for everyone to enjoy, whether walking, jogging or strolling with the dog. With Cupcake, I’m never alone! 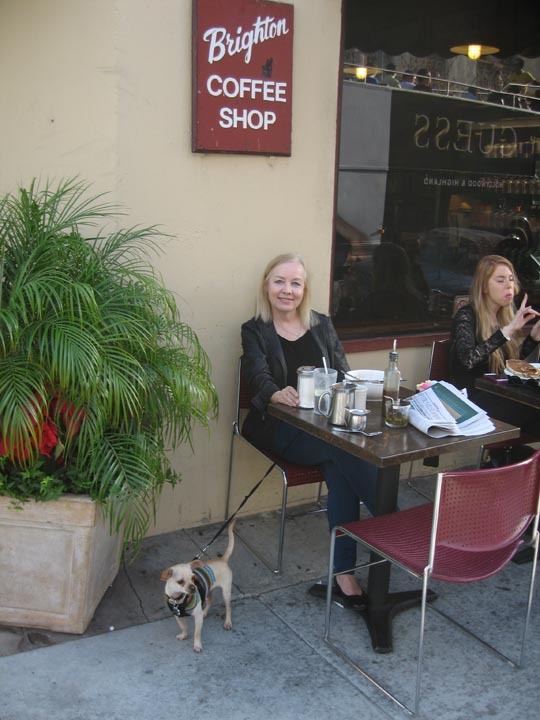 After our long stroll, Cupcake and I refuel at the Beverly Hills Deli, where they were kind to bring a little bowl of water for Cupcake. Then, for desert we headed to my favorite cupcake bakery Crumbs, on Santa Monica Boulevard. 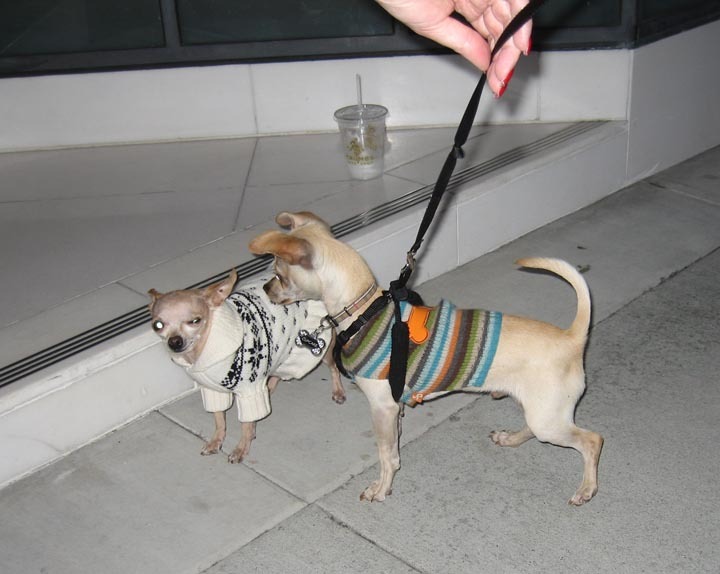 On the way back to the apartment, we met a Chihuahua that was even smaller than Cupcake. 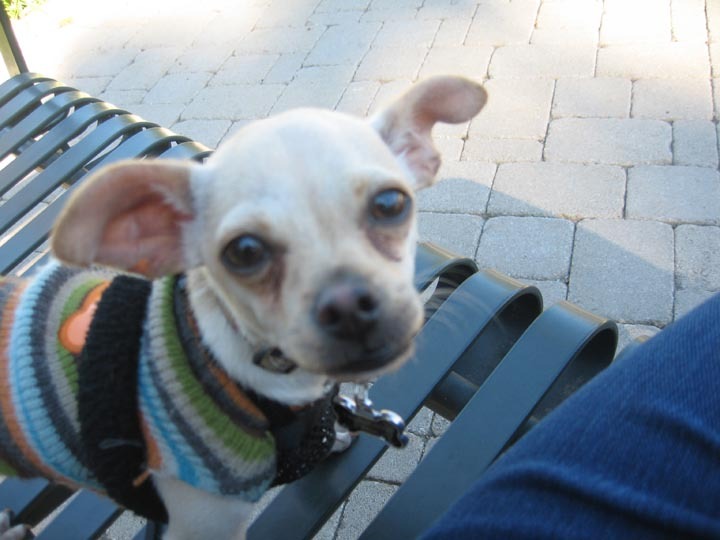 His name was Mario and he is a teacup Chihuahua who is seven years old! His owners had just bought him the sweater he is wearing in the photo at the Ralph Lauren store on Rodeo Drive, which is where this photo was taken. Soon, it was time for Cupcake and me to head back to the desert, although I was tempted to take him to the beach since it was so downright HOT! Before we left, I indulged Cupcake in one of his favorite things to do in Beverly Hills: rolling around with delight in the green grass! 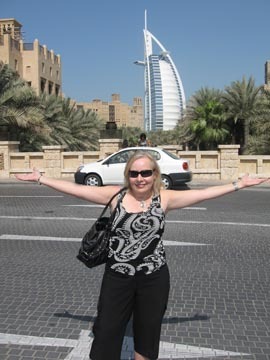 Choose Realtor Wendy Campbell to List Your Luxury Estate: Here’s Why! At a board meeting the other day in Palm Springs, one of the speakers said that he advises owners of luxury real estate to hold on to their properties to ride out this sluggish, cruel market. However, I noticed that my broker, who sells luxury listings like clockwork every week, and who was also on the panel, did not concur with the other broker’s opinion. That is probably because of her amazing ability and leadership position in selling luxury real estate in the Coachella Valley! She works hard at it too. “Obsessed” is a word that some apply to her drive! Since this little article is a commercial for me and not for her, I will leave her unnamed for the time-being. But call me and I’ll tell you who she is if you don’t know already! I feel privileged to work in the same office with her, and her team, and actually in a way, I am a part of her team and vice versa, since I sometimes do open houses for them, and also when I have questions about situations that come up in my real estate deals, I get advice from them. So, it’s a win-win all around! The property in the photo above, is a listing I had, which started out listed as over $10 million! Other listing agents had the listing, but when it expired, I was persistent in persuading the owner/seller to award me with the listing. I started out listing it for around $8.25 million. But as the summer wore on, the price came down to $6.95 million, still a hefty price tag for most people. To make a long story short, I showed it to an agent and his clients (who coincidentally enough had refused to look at it previously with me because of the price tag, and so I showed them another property, but lost contact with them). Since it was summer, and my client was cutting corners with the upkeep of the 9.44 acre property, I put in a good three days of personally cleaning, trimming trees and shrubs, picking up litter and overseeing the clean-up of the pool and windows to make it presentable. So by the time the agent and his clients came to see the property, it was back in dazzling shape. I left the agent and his clients alone at the estate to savor and fall in love with the place. And they did. We received an offer. But for only $3 million! I needed some armor to put on before I presented that to the seller, who I knew would be extremely unhappy with that offer. As it turns out, he did not want to even counter it, although I convinced him to at least counter something, but it was not enough. As it turns out, since my client, the seller, had agreed to the clause in the listing contract, that anyone I showed the property to while it was my listing, I would be able to receive a commission for the time frame (after the listing expired ) as specified in the contract. Therefore, even though the buyers’ agent negotiated a short sale after my listing officially expired, I did receive a reduced commission, when it finally sold to the buyers a few months down the road. For $3.6 million. What a deal for the buyers. My seller was able to move on with his life and his investments on the East Coast. 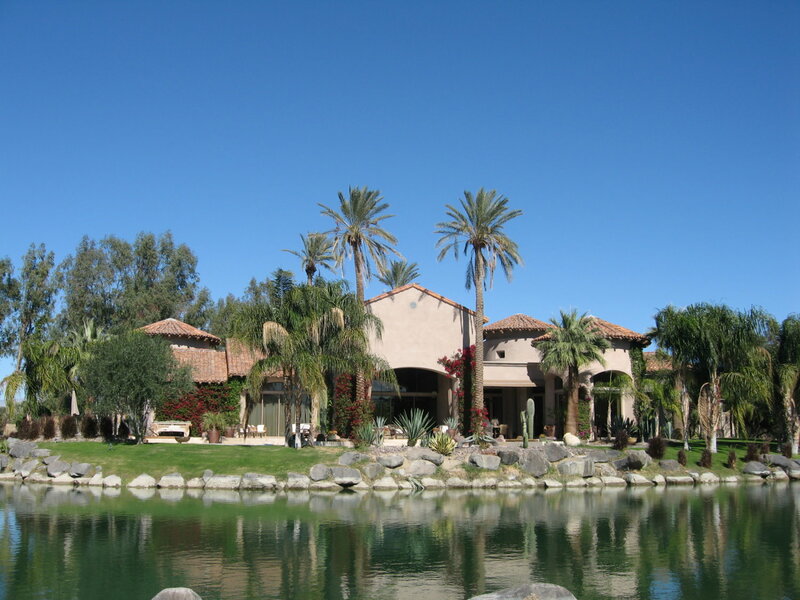 It was the largest sale of the east Coachella Valley of the year, 2010. I feel I certainly deserved that commission since I put my all into that listing, which I do for all my listings, but for luxury listings, since the stakes are higher and since it takes a special outreach to find the right buyer from the smaller pool of buyers for luxury real estate, I go far beyond that to achieve my goals on behalf of the seller that I represent. Since this property was an equestrian property, I advertised in equestrian magazines as well as luxury real estate magazines. I also hosted a Broker’s Open House, serving champagne, caviar, wine and other appetizers along with red roses, since it was around Valentine’s Day. Brokers and realtors came and were wowed by the property. I purchased a large sign on wooden stakes that advertised the features of the property and it was placed on the main thoroughfare, next to the little road leading to the property. I hired the people from Real Estate Showcase to come over and film me and the property for their TV show which airs every night on local TV, and is available 24/7 on-line. I made custom brochures. I advertised in the local newspaper, the Desert Sun. 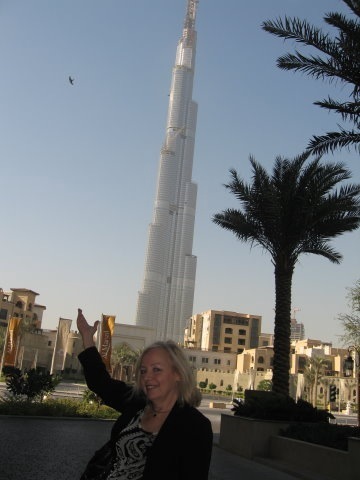 I even actually pitched the property to several different groups of real estate investors in Dubai during my short trip there! 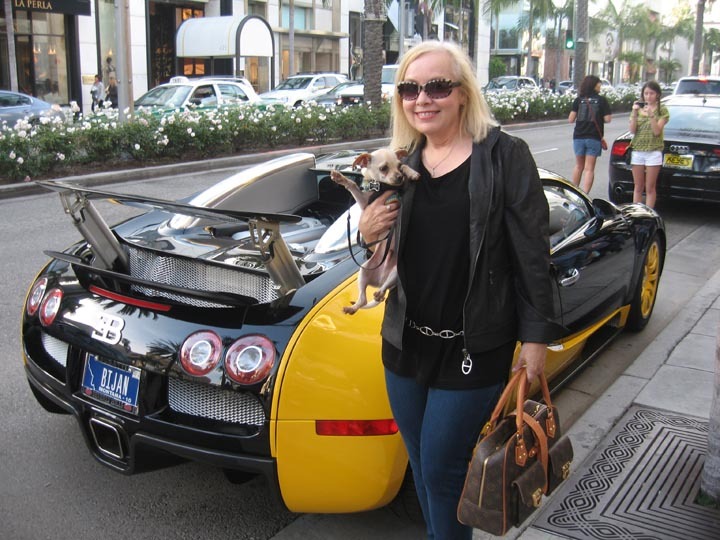 I personally networked with luxury realtors, especially those who specialized in equestrian properties, in Malibu and Rancho Santa Fe. I put up flyers in upscale equestrian stores and stables in those areas, and here in the valley. And of course, as I mentioned above, I oversaw the intensified upkeep of the property so that it showed in the best light possible. You could say that I get “obsessed” with successfully selling my listings,and especially when I am charged with selling a luxury listing, I move into turbo-charged high gear. 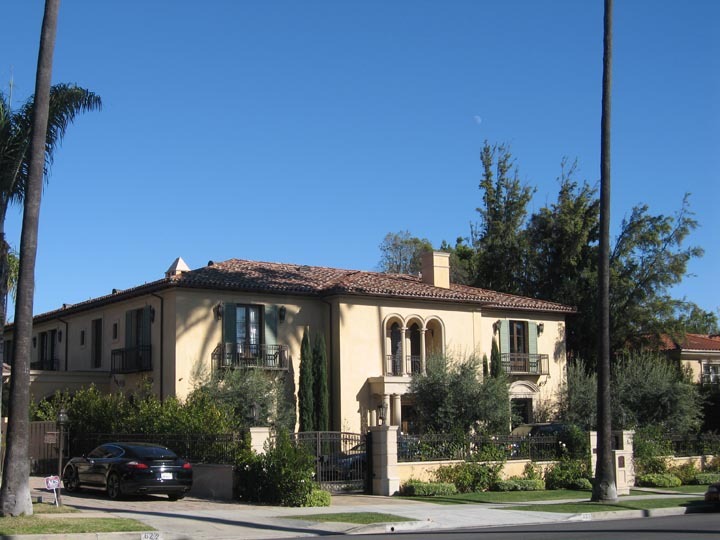 While it is true that there are some luxury estates that have been sold lately as foreclosed properties or short sales, the majority of them are standard sales. As with most real estate, these luxury estates often sell at prices that are discounted compared to what they could have sold for during the real estate bubble and before the crash of 2008, however, depending on your situation, you still might find it advantageous to sell now, at a discount, and then buy somewhere else, also at a discount. Or take your proceeds and put them to good use in another venture, whatever that may be. 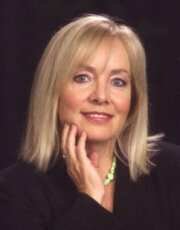 You can count on me, Wendy Campbell, a full-time realtor and resident of the desert, to perform a stellar job listing, promoting and selling your luxury estate. For those who wish to buy luxury real estate, I have a thorough knowledge of and access to all the luxury estates actively listed on the MLS. 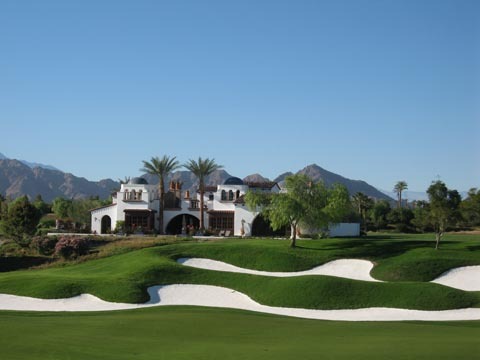 If you want someone who can expertly guide you and assist you in acquiring a luxury estate here in the Coachella Valley, please contact me directly. The best way to reach me is by calling me on my cell phone: 760-587-6009. I received an e-mail flyer about an exciting Broker’s Open House in a $1.695 mil condo in Marina Del Rey the other day, so I decided to go check it out. It was going to be filmed for a show on HGTV, which added another layer of excitement to the adventure. When I pulled up, I saw that they had a valet service for the brokers! We don’t see that very often, if ever, out here in the desert for Broker Open Houses! The outside of the building was bland, the stairs leading to the hallway to the door of the condo, likewise unimpressive. But once inside, one was transported to a Balinese fantasy with designer finishes on three floors, and lush greenery outside the balconies. The only problem is that the other condos in this older building had not been similarly updated and jazzed up, but maybe they will follow suit eventually. The TV camera crew was there filming the scene of realtors exploring the condo, or chatting in the kitchen area, and the realtor who was hosting the open house was the image of a young Hollywood star. Even though I was not a “local” realtor, everyone was very friendly and talkative. 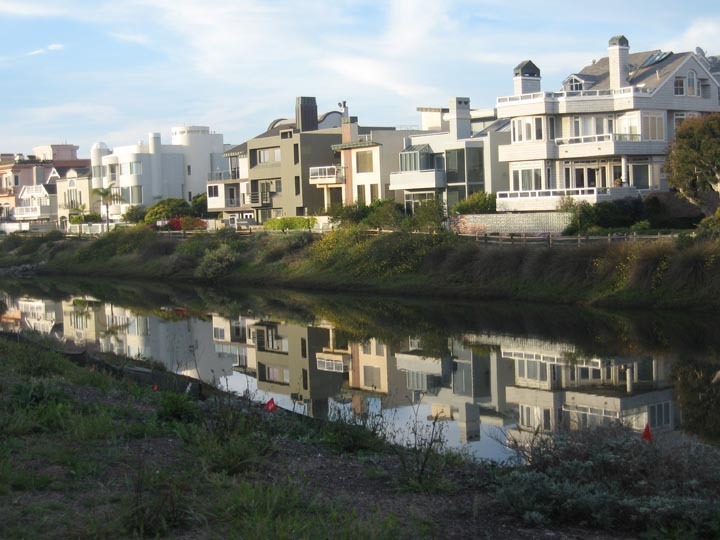 I spoke with someone who owns a fabulous, fully furnished Mediterranean three story home, with a rooftop deck, on the Grand Canal which was across the street from the condo where the open house was. He and his wife are leasing it, asking for $12,500 month, and so if anyone reading this is interested, please contact me, because I can arrange a tour of it if you are seriously interested in leasing a property in this prestigious area, just 4 minutes away from the beach. 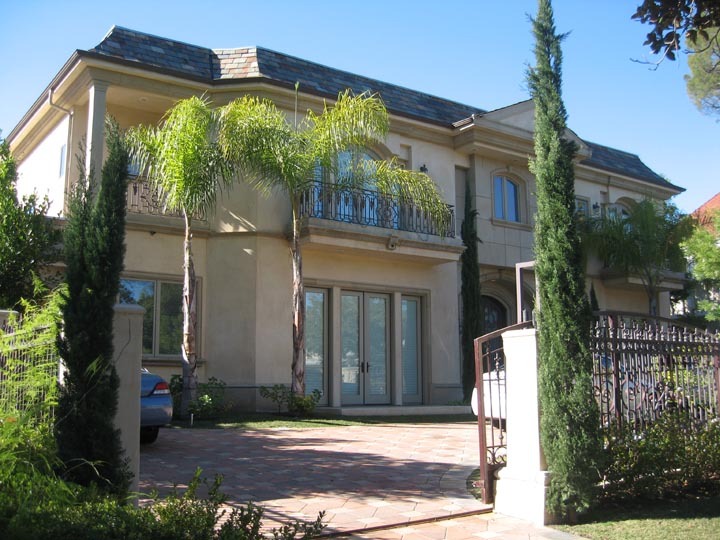 Many celebrities and dignataries have leased this home long-term, so it is a wonderful opportunity. 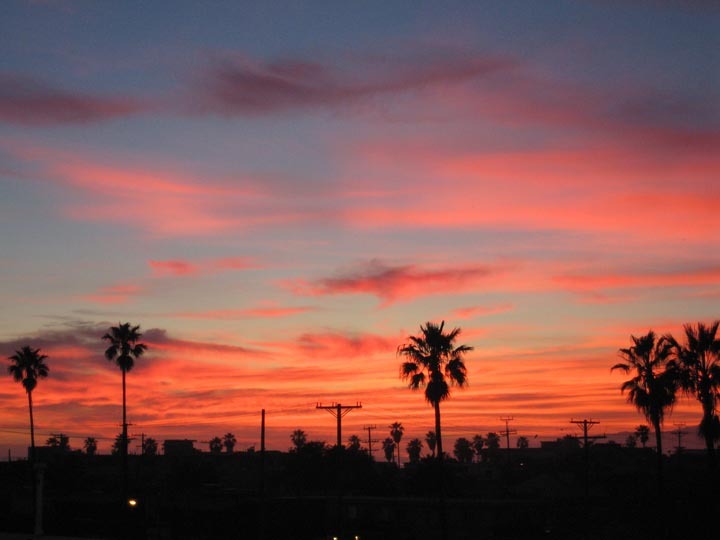 Not only is it so close to the beach, but to the south, there is the largest man-made marina with many fine restaurants, but to the north, it is bordered by Venice Beach and is an eclectic, established neighborhood with many cafes, restaurants and boutiques. The hip Abbot Kinney Road, lined with boutiques and eateries, is a short stroll away. 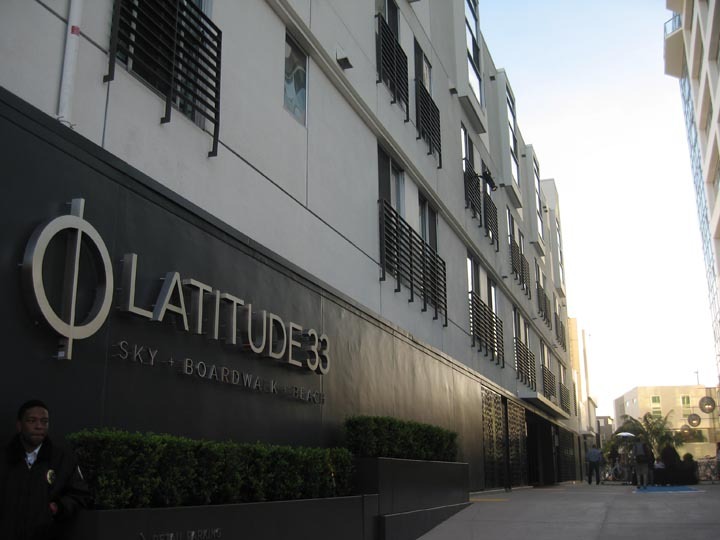 An attendee at the open house gave me a hot tip, that just around the corner was another party at a brand new condominium called Lattitude 33, comprised of three mid-rise buildings. Is mid-rise a word? Well, they aren’t quite high rise. 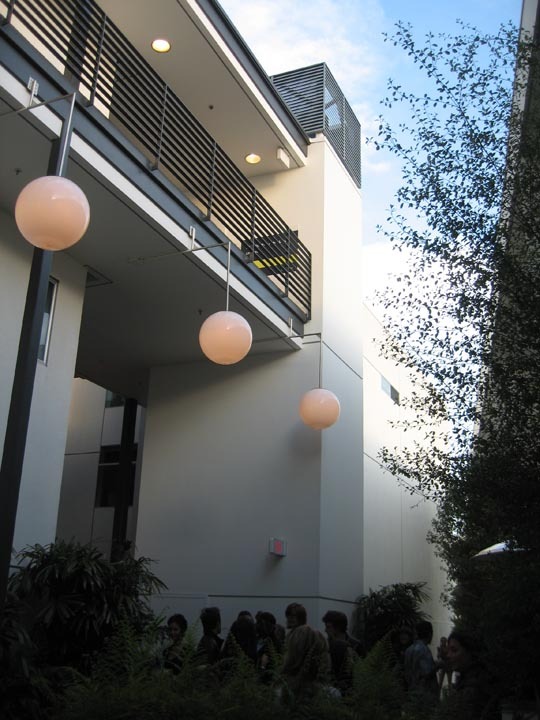 These modern condominiums seemd to me to be a good value, starting in the low $800s. 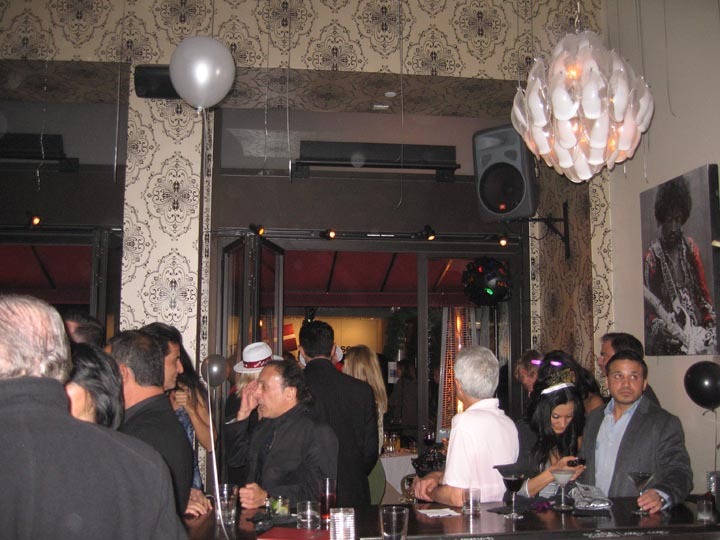 The party was great for people-watching and swelled in size as the night went on. There was a silent auction of surfboards that were painted upon by artists, starting off at $400, all to benefit the charity “Heal the Bay”. The sunset from the second story exposed hallway was spectacular! The band that played was very talented and I hope to see them at the Emmy’s someday winning an award. The name of the band is Makepeace Brothers, and the two lead singers and guitar players are actually THE Makepeace brothers, that is their real name. And some of the songs they sang were about peace and love. At about 9:30 pm, things wound down and it was time to hit the road, back to my beloved desert. Keep in mind, if you or anyone you know is looking for a fabulous house to rent in this fabulous area, please contact me for more information.